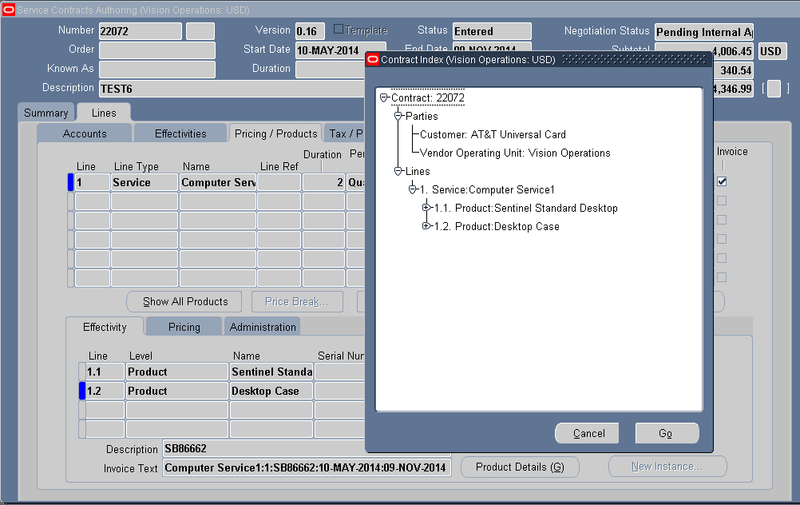 From the Service Contracts Authoring window, select the Actions menu and Show Index. The Contract Index window appears. 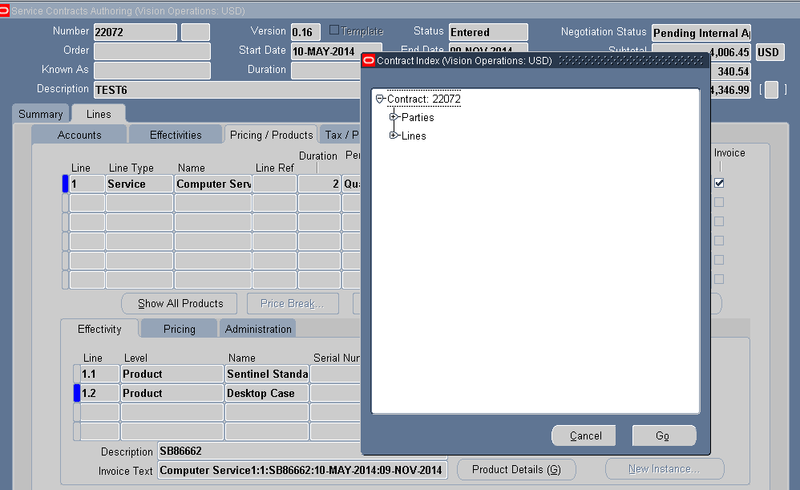 From this window, you can view details of the contract such as the parties, the line level service items, the covered level products at the sublines, and the names of any terms that are attached to the contract. You can expand the hierarchy by selecting the + icon next to the node. You can collapse the hierarchy by selecting the - icon next to the node. Click Go ( as shown below Screen shot). For example, if you highlight the Lines node and click Go, the Service Contracts Authoring window displays the Lines tab. Optionally, you can close the Contract Index window by selecting Cancel.